The article below is written by Dan Bielinski, business instructor at Madison Area Technical College. As a relatively new Business Management Instructor (in my third year) after a nearly 30 year career in industry and consulting, I have found MikesBikes Introduction an extremely helpful tool for teaching real-world business concepts. In the spirit of sharing among educators to benefit students, I am privileged to discuss some of the approaches that have worked for me. 1. I cover course material on Strategy, Marketing (the 4 P’s), Operations and Finance, primarily through case studies and other active learning techniques. I then use MikesBikes and help students “connect the dots” and apply these concepts in the simulation. Both direct student feedback, and the kinds of questions they start to ask, tell me the simulation is taking student understanding to a deeper level. Much like moving toward case studies and away from lectures deepened learning, the simulation took learning provided by the case studies to a deeper level. 2. I have students work in teams of three. Each Team designates a VP-Sales & Marketing, a VP- Operations, and a VP-Finance. Each of their “bonuses” is based 50% on maximizing a specific departmental metric, and 50% on Shareholder Value growth. All three have to agree on all decisions. The bonuses take the form of hefty extra credit points. For example, the VP-Sales with the best sales growth rate wins extra credit points; similar for the other positions. However, EACH member of the Team with the highest Shareholder Value wins extra credit points. The business mindset of always continually looking for an advantage or edge. Since all Teams start out identically, if they all follow similar strategies, no one will stand out. However, since the reports allow you to figure out- and copy, others’ strategies, you must continually look for a new angle.We connect that to running your Department—for example, if you run a Customer Service Team, how can you give your Sales force “something to sell” that your counterparts are not doing. And since your counterparts can probably copy you if it works, are you thinking about the next improvement? Etc. Since all Teams start out with identical positions and decisions to make, and the end results vary wildly, the core source of differences in results is the members of each Team. This leads to a discussion of team makeup— complementary skill sets, depth of understanding of the “business”, ability to work together, etc. It is the most powerful way I have seen to teach the importance of teamwork.This easily transitions into how you build your department’s team— hiring into your weaknesses, knowing that both deep skill sets and ability to be a team player are vital, etc. The simulation allows us to help students develop a broader business perspective, and to drive home the importance of such a perspective. For example, most companies do not want a marketing expert running Marketing; they want a business person who has deep knowledge of marketing. Same for Operations, Finance, and so on. Being able to “see the big picture” and have “your world” be bigger than just your department is vital. I looked at other simulation packages, and concluded that MikesBikes had an optimal level of complexity. It is not simplistic-all the lessons above can be taught, yet it is not so complex that it takes students a long time to learn. I was able to do a self-paced tutorial of a five year simulation using a screencast (35 minutes total run time), that enabled students to learn the basics on their own outside of class (using the online version of MikesBikes). The service and support from Smartsims has been absolutely exceptional- and I say this as a former Customer Service VP. I was comfortable recommending to our Dean that we expand our relationship to the Multi-Player only because of the 18 prior months of phenomenal support. Written by Russell E. Holmes, a business and law instructor, at Des Moines Area Community College. A few years back my business department decided to incorporate a business simulation game into our Introduction to Business course. The college felt our introductory business course would become more acceptable as a transfer course to a larger number of universities if we did this. I was adamantly opposed to requiring a simulation in the course. I had taught the course for many years, was comfortable with the variety of assignments and activities I had developed over the years and had no interest in having to deal with what I perceived to be an activity that would take a lot of time and, in my opinion, be of minimal value. What really upset me was when I was told we would be required to take students through chapters that dealt with accounting, financial management, securities and marketing at the beginning of the course so they would be able to understand the simulation better. I was beyond angry as I had always done those chapters at the end of the course. More than that, I felt the tail was wagging the dog – in other words, I felt the simulation was becoming the centerpiece of the course as opposed to being a part of it. In protest to this major change to the course, I choose not to teach it. I had enough other courses I could teach that I did not need to do the Introduction to Business course. I felt bad about this as I had always enjoyed the course but, well, I had no interest in dealing with the business simulation and all the problems I was sure it would bring about. I was fairly confident that in a couple of years MikesBikes would become a thing of the past and the people who had advocated for it would see the error of their ways. About two years after the college began requiring the business simulation in all the Introduction to Business courses, I was forced to teach the course again since I needed a full load. I was upset, to put it mildly, that I would have to deal with the simulation. I was convinced it was a waste of time and greatly over-rated. I had ignored it for two years and had had no interest in learning what it was all about. Still, I had no choice. I figured if the students were going to have to deal with it, then I would figure out a way to make it somewhat palatable. There had to be some redeeming value to it even if I had no idea what it might be. I knew I would need to be able to explain it and have some working knowledge of it for obvious reasons. Knowing I had no choice I was forced to dive in and begin to learn what this MikesBikes simulation was all about whether I liked it or not (and I definitely did not). Over a long break I attempted to learn how to do the simulation. I would go in spurts. After struggling with the most basic of concepts in Years 1 and 2 (how in the world am I supposed to determine a selling price or how many units to produce?!) I fought and cursed the simulation every step of the way. I was determined to prove it was a waste of time and could not in any way be remotely realistic. However, slowly – ever so slowly – I began to see a glimmer of light here and another glimmer there. No matter how hard I tried to find fault with every aspect of the simulation, I began to see something that was slightly interesting and perhaps even somewhat relevant to this thing we call “business.” I began to see the marketing screen and the production screen actually correlated with each other (can you say “supply and demand”?). I began to realize those Key Reports – something I had tried to ignore – actually had some really valuable information in them and were appropriately named (imagine that?). I discovered that if I knew the size of my market it was actually helpful in determining how many bicycles my factory should be producing in the upcoming year. Slowly, ever so slowly, I stopped cursing the simulation and began to see how it might have some value. As the simulation progressed into Year 2 and Year 3 and Year 4 an amazing thing happened – what I had learned in earlier years could be used to build upon in the following year. Before long I was seeing a rather interesting relationship before my eyes involving many pieces to a large puzzle – financing, production, advertising, branding, pricing, dividends and on and on. So many pieces but they all fit together so nicely when you – the owner of your firm – figured out how to put those pieces in place. The simulation was no longer an ugly, disjointed, confusing maze of frustration. Rather it had turned into a beautiful kaleidoscope of moving parts and beautiful colors. There was no one right way; there were actually many right ways to obtain a high shareholder value. I was, in a word, astounded at not only the beauty of the simulation but the intricacy of it. Still, it was simple enough for a student in an Introduction to Business class to understand if he or she was willing to give it some time and thought. Isn’t that what a college course is all about – taking the time to give the subject matter some time and thought so the concepts can be digested? Isn’t actually being actively engaged in an ongoing project – something that requires a person to work on week after week – better than sitting passively reading or listening or even watching a video about some topic? I, the old curmudgeon, had learned something even though I had tried so hard to keep my mind closed. The simulation brought some real life into the course and made it better (shocking but true). MikesBikes brought to life a variety of concepts that are discussed in the text and allowed students to work together making decisions for the upcoming year. Both my online as well as my face-to-face classroom students do the simulation and I could not be more pleased. Sure, some students get so frustrated they want to quit – but I tell them the key is to push forward, stay with it, preserve and never give up. When they see the light it is an amazing sight for me and a feeling of true success for them. Today, I would not consider teaching Introduction to Business without the MikesBikes business simulation. I have come full circle from vocal nonbeliever to strong advocate. One of my students this past semester scored #2 in the MikesBikes Introduction Hall of Fame. If he had only declared a dividend he would have easily been #1! To this day I will never understand why he never declared a dividend for his shareholders!! Oh, what could have been! More importantly is not what could have been but what is. And what MikesBikes is, is invaluable to my course. Russell E. Holmes teaches Business Law and Introduction to Business. He obtained his law degree from Drake Law School in 1989. 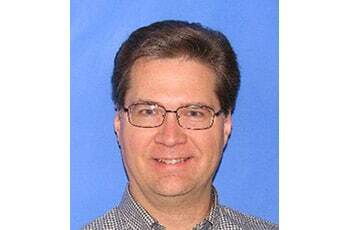 He has a Master’s degree from Iowa State; a Bachelor’s degree from the University of Iowa and an Associate of Arts degree from North Iowa Area Community College in Mason City. After graduating from University, he worked with the Federal Land Bank of St. Paul, Minnesota as a loan officer. In 1977 he started teaching full time for the American Institute of Business in Des Moines and also worked for a consulting firm in Des Moines. Russell first began at Des Moines Area Community College in 1980 and was with the department until 1986. He left DMACC to attend law school. From 1989 until 2004 he was in private practice in Polk and Story counties. For eight years he was the executive director of the Legal Aid Society of Story County. He returned to DMACC in 2004 and has been teaching there ever since. Designing a course requires professionals, topic experts, and a deep understanding of students’ needs. The long and short of it – course design takes time. Therefore, we are creating a series of articles on how select Smartsims clients employ business simulations to engage their students. This article follows Professor Darl Kolb of the University of Auckland. Having utilized MikesBikes Advanced in both his undergraduate and post-graduate courses, Professor Kolb’s students often exclaim this is the highlight of their degree. Professor Kolb truly embraces the concept of experiential learning by utilizing course activities which reflect real-world situations managers of a company may experience. Through role-play students adopt roles within a ‘management team’. Instructors will take up the role of ‘shareholders’ or ‘board of directors’ who the students are responsible to. Deeply ingrained within the course content, the simulation is entirely relevant to the student’s and their futures. This relevance inherent within the simulation is key to keeping the students engaged. Professor Kolb finds this metaphore also provides students a sense of purpose and develops their skills for real-life business situations. How is the simulation structured in the course? Generally MikesBikes Advanced features two key phases; Single-Player and Multi-Player. The Single-Player practice round has students competing against a computer opponent where they can control moving back and forth between decision periods (which we term “rollovers”). This usually occurs over a two to three week period. Students then move onto the Multi-Player competition where student teams will be competing against each other for highest Shareholder Value. Professor Kolb introduces the course and the simulation together, ingraining into students that theory goes hand-in-hand with real-life business situations. Providing students with access to the Single-Player allows students to experience the simulation before they begin their simulation associated assignments. Professor Kolb introduces the simulation to students in the first class and covers how the course will run. Outside of class time students will use the Single-Player for the first week aiming to gain the highest Shareholder Value they possibly can within a set number of rollovers (six to eight). Student’s best result in the Single-Player is included with their resume. Each student must submit a brief resume which includes past qualifications and/or experience which may be relevant to a position in the Management Team of their MikesBikes company, as well as their best Single-Player result. Professor Kolb then uses this information to assign students into teams of five, with an objective of splitting up those who performed well in the simulation and/or who bring previous business experience/qualifications. As part of this, Professor Kolb also assigns each student the role of either: CEO, Marketing Manager, Operations Manager, Finance Manager or Innovation Manager for their team (or ‘firm’). This application process helps students to develop the skills required to construct a resume and apply for a specific role they desire, often students will apply to particular roles they envisage for themselves after having completed their course. For the duration of the course, Professor Darl Kolb will continue with tying the simulation into the content he teaches. As a live case study, MikesBikes-Advanced provides him with a lot of opportunities to address specific events in the simulation by applying theory he chooses to present in class. With the simulation being applicable to each and every student, students find this content engaging and relevant. The Multi-Player begins with four practice rollovers which occur weekly. This gives students an opportunity to familiarize themselves with their role and the team’s dynamics. It also enables students to, this course design starts students with a few practice rounds of the simulation. Letting students test strategies, make mistakes and learn from these. Students are bound to make mistakes and that is the nature of learning. This lets students make mistakes without affecting their grades later on. After the practice rollovers have been completed, the simulation then resets ready for students to begin with the real competition. The simulation is then reset ready for students to begin the real competition. Further rollovers are processed weekly. Over this phase Professor Kolb uses the activities below to facilitate real-world learning outcomes. At certain points throughout the course Professor Kolb assigns reflective exercises for students to complete. The most intense exercise for the individual students are the reflective essays; they require a combination of theory, personal experiences, introspection, and self-evaluation. Students are then graded upon their ability to describe their situations, their insight, and their ability to combine this with theory. Mid-simulation students engage in mock board meetings, where the Management Team (students in each group) must present to their board of directors (two or three faculty members). Students summarize their strategy, goals, and performance. Board members challenge students on the reasoning behind their decisions and remind them of their responsibilities to shareholders in future decision periods. This is potentially an activity which students can be graded on. After the final rollover each Management Team presents their simulation journey to the class. This is an opportunity to reflect on what went well, what mistakes were made, what they would they have done differently and what their learning outcomes have been. Teams are ranked at the end of the simulation based on their Shareholder value. This is Smartsims’ recommended key performance indicator. How does Professor Kolb grade the simulation? Professor Kolb’s course content focuses on managing people and organizations. As such, although students are graded on final shareholder value, the majority of their course grade is assigned to reflections, board meetings and group presentations as mentioned above. Is this the only way to design a course with MikesBikes Advanced? Far from it! This is only one article in a series which explains various different ways other instructors are including the simulation within their business courses. There are multiple ways on how to incorporate a simulation beyond this too! The options are limitless. Want to get started incorporating the simulation into your course design? Want to learn more? 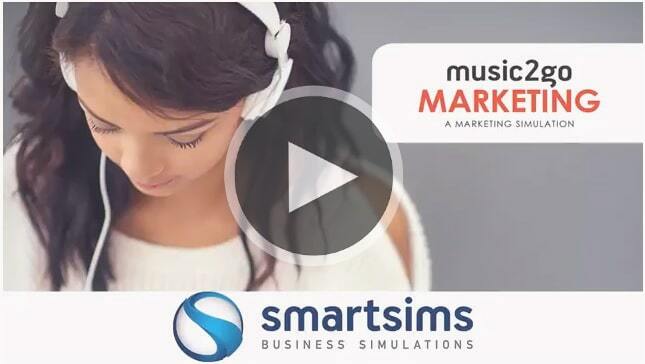 The Smartsims Team have years of experience and are here to help. Click here to talk to them about your course and how you would like to implement MikesBikes. In this video, Professor Darl Kolb discusses the unique way he has designed his course and complementary simulation-based activities to achieve amazing learning outcomes for his students. 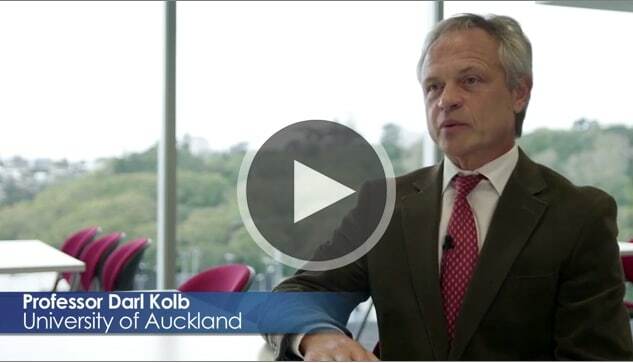 Kolb is the Professor of Connectivity at the University of Auckland. His courses have always received high student ratings, praise from his faculty and have earned him multiple teaching awards. At the core of his courses for over 15 years has been the MikesBikes Business Simulation. Kolb has used this Strategic Management Simulation for over 15 years, in both his Undergraduate Course and his Masters of Business (MBA) Course. MikesBikes is a means of introducing students to business concepts; such as strategy formulation, decision-making and teamwork. When used in a Capstone Course the simulation enables students to bring together all the theory from their business degree into a single experiential learning activity. To not only understand the individual functions of business, but to also see the connectedness and interaction of these functions. Over the years Kolb continues to receive feedback from students that their MikesBikes experience has not only provided them with workforce readiness, but gives them the leading edge in job interviews. Kolb has designed his courses to create the most a realistic business environment he can for his students. Students are first tasked with writing their MikesBikes Résumé to apply for a position in their management team. This is done using a combination of their Single-Player (practice version) performance and their personal skills, experience and abilities. Based on their résumés, students are put into teams and assigned roles; Marketing Manager, Operations Manager, Finance Manager, R&D Manager and CEO. The student teams then work together to conduct a market and company analysis, formulate strategy and implement their decisions prior to the first decision deadline (Multi-Player rollover). After each rollover, the results are displayed and discussed in class, giving students time to meet and reflect on their decisions. Over the length of the course students participate in mock board meetings and management team presentations. These complementary activities aim to not only help add reality to this experience, but to also give students genuine confidence and real-world skills to take into the workplace. For Kolb, and hundreds of other instructors, the MikesBikes Business Simulation has proven to be a great foundation for students at all course levels. 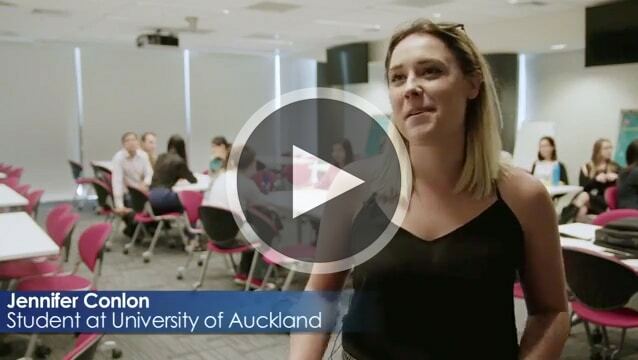 Andrew Patterson a professional teaching fellow at the University of Auckland discusses his experience using MikesBikes Advanced with his undergraduate students. He describes how the MikesBikes Advanced business simulation provides a new and effective system to engage his students. 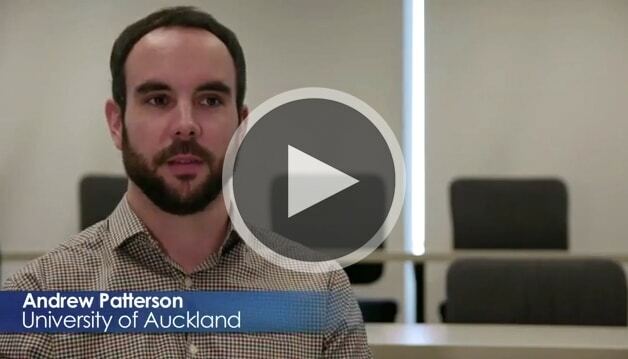 Andrew has spent over 4 years teaching in the University of Auckland Business School. He is currently using the strategic management simulation, MikesBikes Advanced in his undergraduate management course. It remediates what Andrew identifies as shortcomings of traditional learning styles. Traditionally, learning environments have been passive systems unable to effectively target large student cohorts. Andrew found that MikesBikes provided an entirely new form of experiential learning. 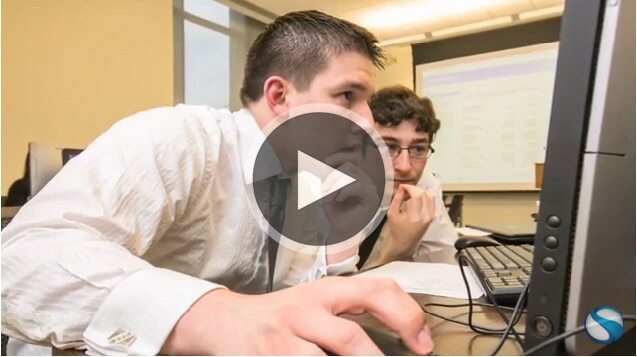 He used the business simulator to provide students with a business and management simulation where they could strategize and apply course content. This allowed him to focus on guiding students through their business strategies and building on their educational experience. The course focuses heavily on the student’s experience in the simulation and their reflective observations. Andrew primarily uses his lectures to meet with student teams and coordinate their business, management and marketing strategies. The course is graded based on the overall performance in the simulation and on the student’s learning journal. Andrew notes that the students’ MikesBikes experience made the reflective journal component possible. The simulation allows him to keep his finger on the course’s pulse, set period goals and observe how students execute their strategies. The experiential learning environment created an active foundation where students could reflect on their learning using their own simulated business models. Andrew closes in saying that in four years of teaching, he has never encountered anything like the MikesBikes Advanced simulation. The level of student engagement and interaction made it a positive experience for him as an instructor. His students added that it was one of the best learning experiences they had in university – this was echoed by their high attendance and engagement in class. Their experience with the simulation provided tangible case studies for them as they begin their careers; proving that its learning potential goes beyond the classroom. The positive experiences of the students serve as the best testimony for our business simulations. This case study on University of Auckland students exemplifies how MikesBikes provides a unique and practical learning experience. Students Jennifer, Jude and Joel share their experiences using business simulations. The three students were asked about their initial thoughts before starting their MikesBikes journey. On the outset, the students described their excitement towards running a business in a simulated environment; something that none of them have done before. Jennifer expressed her anxieties towards her grades being dependent on her business performance. On the other hand, Jude and Joel were excited for this new learning experience. During the course, the students were asked about their thoughts on MikesBikes. Overall, they developed a new-found confidence in the business simulation. Jennifer was thrilled that she’s able to manage her own company in a risk-free environment. Joel also spoke about how it motivated him to learn more about business management. At the end of the course, they were asked to reflect on their learning experience. Overall, having the ability to develop and test their business strategies in real-time provided them with the greatest learning experience. Joel described how working in teams made him learn a great deal about himself. While Jude and Jennifer described how the simulation encourages students to identify their strengths and weaknesses all within a safe and positive environment. In summary, the students’ experience with the MikesBikes simulation taught them valuable lessons about business and of themselves. They started the course excited but understandably unsure of how it may benefit their learning. However, by the end of the course, it became clear how this experiential learning method benefits students in many ways. Auckland University students are prepared and confident to enter the workforce after completing the MikesBikes simulation. To learn more about how a business simulation can create a memorable learning experience for your students just fill out the form below and one of our staff will be in touch with you shortly.